With the pervasive presence of the internet into every aspect of our lives, the effects of rapidly advancing technology are also beginning to impact our lives in significant ways. From how we conduct business to the way we get our consumer goods and services, technological advancement is often outstripping and replacing older ways of knowing and doing at a never before seen rate in recorded history. Business owners who want to stay in business for the long haul have to constantly stay ahead of how these advancements affect their business and their customer base. For example, online ordering trends for foodservice are rapidly changing even as the industry continues to grow and expand every year. In order to stay ahead of the learning curve driven by consumer demand, there are several developing trends currently worth keeping a close eye on even if you already have an online food ordering system. 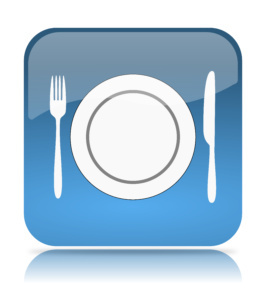 Let’s take a look at what to look out for in the near future for food service industry and online ordering. “There’s an app for that” is no longer just a trendy marketing slogan. It’s an industry fact. Designing online ordering applications specifically for mobile devices to meet consumer demand has become the established process for any independent restaurant or corporate chain looking to branch out into online orders. Mobile native apps are currently driving 15 percent of all orders placed online, and that number continues to grow as native mobile apps continue to proliferate. Quick service restaurants are also getting on board with their own mobile app development that even allows customers to order and pay right from their mobile phone thanks to the growth of PayPal, Apple Pay, and Android Pay. Restaurants that are able to create these seamless interactions from mobile to brick and mortar pickup and delivery are going to be the long term winners in the competition for takeout and delivery businesses in the years to come. Any business that wants to stay competitive needs to make a native mobile app their primary concern, and fast-pay service integration should be right behind their Mobile App Priority Number 1.
now integral to the POS system, and customer can enjoy a faster and more seamless ordering experience online. 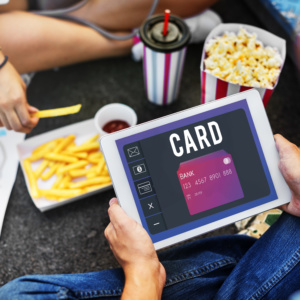 Many chains are currently scrambling to develop superior POS systems in order to achieve peak customer experiences for every order and stay ahead of the competition. One of the disadvantages faced by major restaurant chains is the slow down of information and management communication via their hierarchy of district and regional management structures. With newer mobile solutions being made available for both online ordering and restaurant management, many corporate chains are seeing these delays start to decline as their management personnel are able to access back-end management features and functionality from their mobile phone, tablet, or laptop via secure network connections. Even servers are benefiting from mobile solutions with mobile integration, granting every server the ability to place orders in the POS system and accept payment for orders directly from a handheld mobile device. As more customers, staff, and management continue to benefit from these mobile solutions, business is going to gravitate towards these restaurants due to the fact that their customer experience is far faster and convenient. This is definitely a trend that bears close watching. Overall, whether you are already taking orders online or not, the digital ordering phenomenon continues to grow and expand. Make sure your establishment is prepared for the future and ready to shift with demand as your customers discover these technologies for themselves. The only real question about these trending technologies is this: will your customers discover these cutting edge tech advancements in your restaurant, or your competition’s? The answer is up to you.